What can one write about a woman christened with a bottle of Sciaparelli's Shocking perfume instead of holy water? 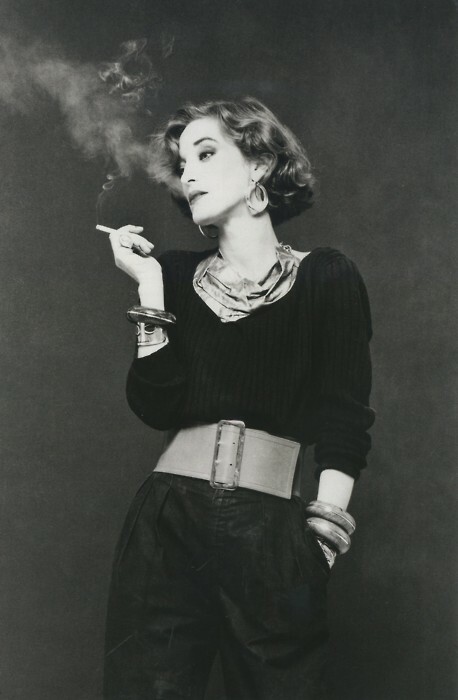 An unconventional personality, always chic in her own, inimitable way, the personification of what French chic means to the world, Loulou De La Falaise was the eternal Yves Saint-Laurent muse, his good friend and collaborator. 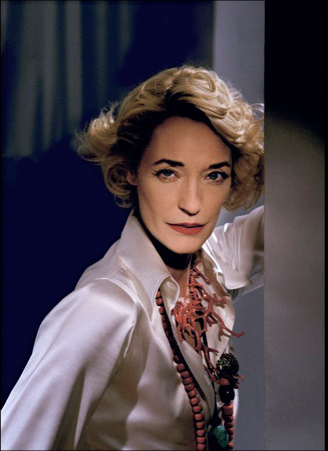 And one of my very favourite and loved women in fashion. 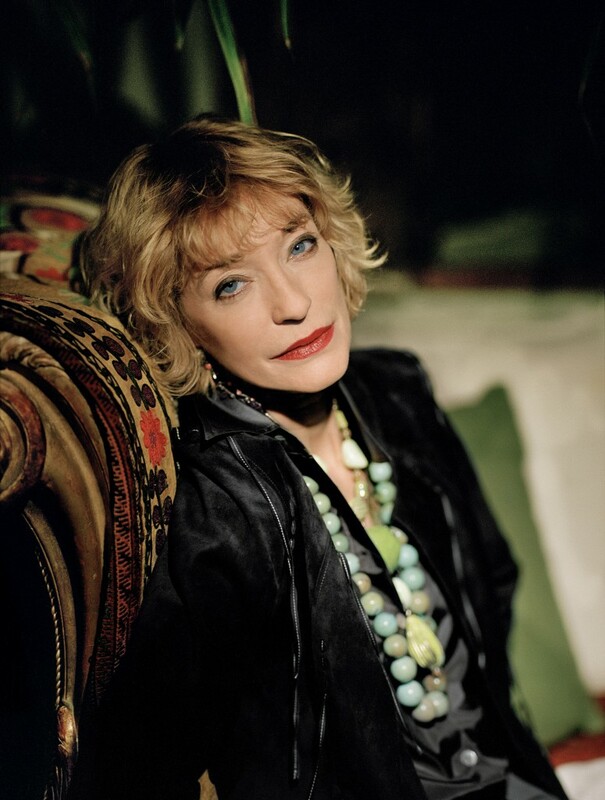 Loulou (full name: Louise Vava Lucia Henriette de Le Bailly de la Falaise) was born in 1948, into one of France's most artistic and bohemian families: daughter of Alain, Count Le Bailly De La Falaise, writer, translator and heir to the Henessy cognac fortune, and Maxime Birley, English beauty and model (Beaton said she was "the only true chic Englishwoman"), she had quite a formidable clan to inspire her. Her maternal grandfather was painter Sir Oswald Birley, her uncle Mark Birley (of Annabel's fame), a great uncle, director Henri De La Falaise (3rd husband of Gloria Swanson), brother Alexis, an interior designer, niece Lucie (a model and also muse for YSL) and nephew Daniel (a chef and model). She also married into art: her 2nd husband was artist Thadée Klossowski de Rola, a son of the famous French painter Balthus. They had a daughter, Anna. What a pack! Expelled from three boarding schools, she went to New York, where Diana Vreeland put her into modelling. She hated the job and returned to London, where she worked as a fashion editor for Queens. In 1968, she met Yves Saint-Laurent. She started working with him in 1972 and stayed with him in YSL for thirty years, until he retired. She helped with jewellery and accessories design, also becoming his right hand at work. Her incredible sense of styling inspired him. She however disiked the "muse" label: "I used to get very irritated by that term. For me, a muse is someone who looks glamorous but is quite passive, whereas I was very hard-working. I worked from 9am to sometimes 9pm, or even 2am. I certainly wasn't passive. I worked on jewellery and knitwear, on the in-between collections. Now that it's all over, I like to think there's a bit of my soul in the clothes that were designed when I was there because I was supposed to be a source of inspiration." 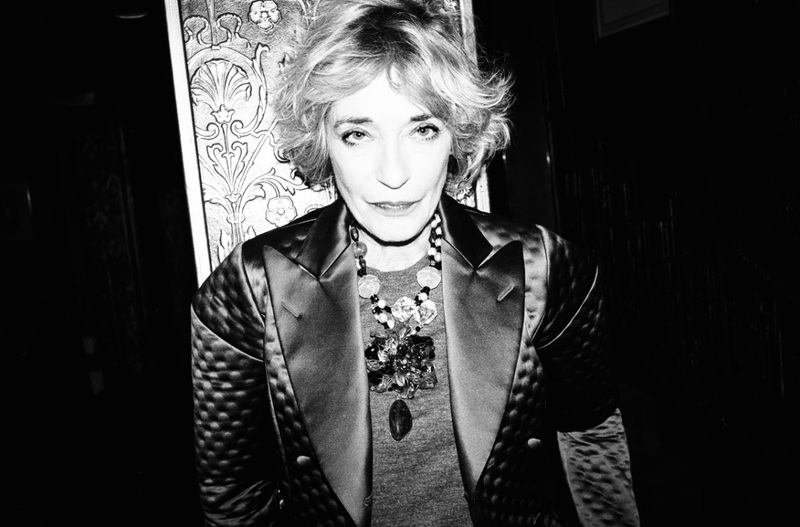 After Saint-Laurent retired, she created her own brand of jewellery and accessories. Loulou was the gupsy influence, the over the top look for Yves, while Betty Catroux was his inspiration for the more masculine styles. The formidable trio created a unique look and feel for the French label, cementing what for many is still considered the epitome of Parisian style. Her trademark style: pants most of the time - made of velvet, shantung or silk - paired with satin tops in bright colours, chiffon blouses, simple black sweaters, printed or brocade jackets. She loved combining different patterns, for example striped pants and a Madras blazer with a classic white shirt. And of course the jewellery: bracelets and necklaces, often multi-stranded and made of semiprecious stones, with a multi-ethnic vibe. It remained constant but never dated, throughout her life: "I never think much of my age, I just get dressed and wear things that suit me at the moment." She died on the 5th of November, after a long illness according to a press release by the Pierre Berge - Yves Saint-Laurent Foundation. She will always be an inspiration and influence. I am shocked to read that LouLou died! OMG! She was and always will be an icon of fashion. She had such a way about her...every move was so glamorous. She, like Coco Chanel, Audrey Hepburn, and several others, will always be the epitome of style, elegance, fashion, and chic.